The CRU is led by up to three Commissioners at any one time. The Commissioners are Paul McGowan (Chairperson), and Aoife MacEvilly. The Commissioners are assisted in their duties by a staff of about 100, including 4 directors. The work of the CRU is divided into four separate Divisions, with each Division led by a Director. The Directors are Karen Trant (Director of Water), Laura Brien (Director of Energy Markets), John Melvin (Director of Energy Networks and Legal) and Ann McGarry (Director of Energy Safety). This structure reflects the CRU’s varied economic, customer protection and safety responsibilities in energy as well as its role as economic water regulator. The CRU is the economic regulator for the public water and wastewater sector, covering the services provided by Irish Water. Our primary aim is to protect the interests of customers of Irish Water. In carrying out this role, the CRU seeks to ensure that Irish Water is run as efficiently as possible while providing appropriate water and wastewater services to its customers. The CRU approves Irish Water’s Water Charges Plan which reflects the allowed revenue, connection charging policy and the domestic and non-domestic tariff regime. The Energy Markets Division is responsible for overseeing the wholesale all-island Single Electricity Market (SEM) in co-operation with the Utility Regulator in Belfast. The division also monitors security of supply and generation adequacy in Ireland, the National Smart Metering Programme and is responsible for the monitoring and regulation of the energy retail market and the licensing of energy suppliers. This division is responsible for the economic regulation of the electricity and natural gas infrastructures in Ireland, including setting network development and connection policy, approving charges for access to and use of the networks and resolving connection disputes. Finally, the division also has a general role in advising the organisation on all legal matters. The Energy Safety Division is responsible for the implementation of the gas safety framework and electricity safety functions. These include the safety regulation of gas supply, gas networks (including LPG), gas storage and the use of gas, the regulation of gas installers (including LPG) and electrical contractors. Furthermore the division is responsible for the regulation of upstream petroleum exploration and extraction activities. Paul has been a member of the Commission since March 2013 and assumed the role of Chairperson in February 2017. His lead responsibilities within the CRU include water regulation, energy safety and Operations within the organisation. Previous roles within CRU include Director of Safety, Director of All Island Energy Markets, Head of Gas and Senior Analyst (in Gas Regulation and in Electricity Markets). Paul also previously worked in the offshore oil & gas, education and construction sectors. Aoife MacEvilly has been a member of the Commission since October 2014. Her lead responsibilities within the CRU include gas, energy consumers and smart metering. This includes gas networks, European Integration and security of supply. The energy consumer portfolio includes the National Smart Metering Programme, the Customer Care Team, electricity and gas retail markets, pricing, disconnections and retail market monitoring. Aoife previously worked in the Department of Communications, Energy and Natural Resources in energy regulation and security roles. Laura Brien was appointed Director of Energy Markets in 2014. Laura has over 20 years’ experience in the energy sector, having advised on energy policy at both national and international level. She previously held economic consulting roles across both public and private utility companies, providing advice to government departments, regulators and private equity firms relating to the deregulation and privatization of electricity industry in several US states, Mexico, Ireland, Spain, Brazil, Thailand and Canada. 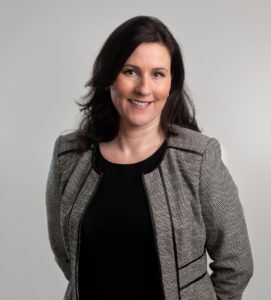 She acted as a senior economic advisor to Comreg until she joined the CRU in 2014 to take up her current role, which is responsible for overseeing all aspects of competition and consumer protection in the energy retail markets in Ireland and the wholesale all-island electricity market (SEM) in cooperation with the Utility Regulator in Belfast. She holds a Commerce degree from University College Dublin and an M.Phil in Economics from Oxford University. John Melvin was appointed as the Director of Energy Networks and Legal in 2016. 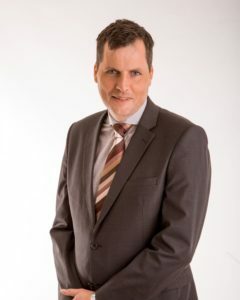 John has over 20 years’ experience in the energy sector and has held roles in the commercial energy sector in engineering consultancy and operation of power generation facilities. He is a graduate of University College Dublin where he completed a BE in Mechanical Engineering, and also holds a MSc. in Finance from the Smurfit School of Business. 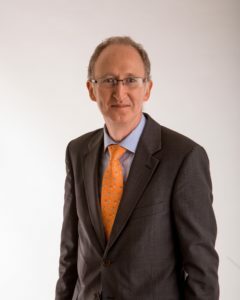 John has responsibility for the regulation of the electricity and natural gas infrastructures in Ireland, including setting network development and connection policy, approving charges for access to and use of the networks and resolving connection disputes. His division also has a general role in advising the organisation on all legal matters. Ann was appointed Director of Energy Safety with the CRU in May 2016. Prior to joining the CRU, Ann served as Director of the Office of Radiological Protection in the Environmental Protection Agency following its establishment in August 2014. 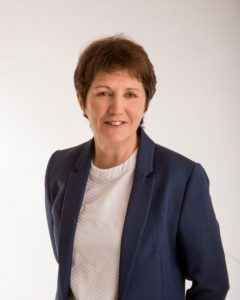 She was Chief Executive of the Radiological Protection Institute of Ireland between 2002 and 2014. Ann is a graduate of Dublin Institute of Technology and University College, Dublin. 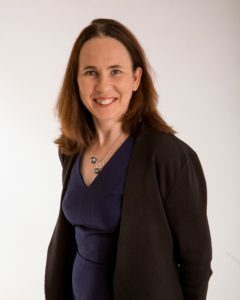 She holds a Master’s Degree in Applied Physics and a Ph.D. in Experimental Physics from UCD. In 2006, she was conferred with an Honorary Doctorate by the Dublin Institute of Technology in recognition of her achievements in the sciences. Karen Trant was appointed Director of Water in 2018. She joined the CRU in 2006 and has been involved in the energy Safety and energy Networks Divisions both as a manager and then senior manager. Karen has responsibility for the regulation of water services and security of supply for gas and electricity. She is a graduate of Queen’s University Belfast where she completed and LLB in Law. 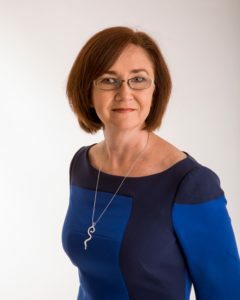 Karen is a qualified solicitor with the Law Society of Ireland.